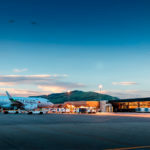 The documents found below have been posted to continue the Jackson Hole Airport Board’s commitment to being transparent. It may be interesting to the reader that the Airport Board is financially self-sufficient and does not use any local tax dollars. These financial documents represent a small part of our comprehensive efforts to continually improve safety, customer service, and environmentally sustainable practices. Credit card statements are provided along with the expense sheets for each statement. Check register summaries, organized by general ledger account and banking institution, can be found in the left column. Check register summaries are arranged by bank account, in the column on the right.